We are a repository hosting company run by and for developers. Our easy to use control panel will get you up and running with Git, Subversion, and Mercurial quickly and provide you with a free project management solution (Redmine or Trac). Our control panel allows you to quickly setup Git, Subversion or Hg repositories and provide permission based access to project users. Our control panel allows you to automatically setup a Trac or Redmine project in just a few seconds. Both provide you with an excellent tool for managing your development projects. 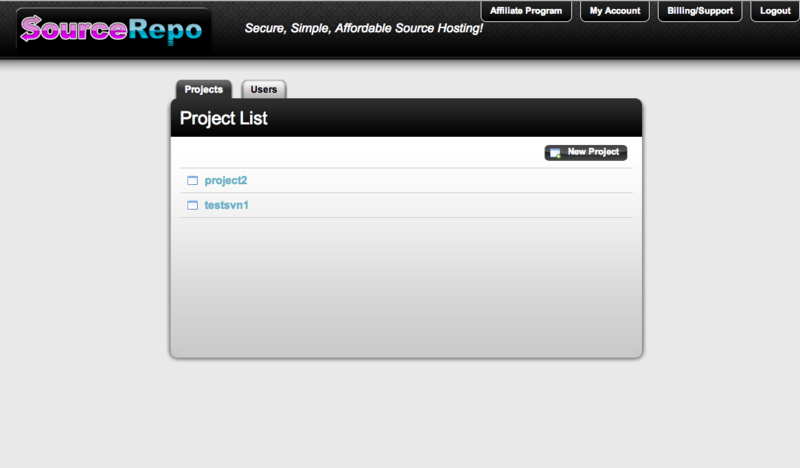 All of our plans feature no limits on the number of repository/project users that you may add to each project/repostiory. All repositories are accessible securely using SSH(Git, Hg) or HTTPS (Subversion) and we keep your data	safe by using RAID and backing up every server hourly. If you have any questions or run into any issues using our service, we are available 24/7 via our online help desk or our live chat room. If you are using another repository hosting service or hosting your repository yourself, you can import the repository yourself using our control panel or we will be happy to help you in any way that we can to migrate your data over to our service for no additional cost. If you are not satisfied with our service for any reason, after you cancel your account within the first 30 days, simply send us an email requesting a refund and we will provide you a no questions asked full refund. © 2013 Hosting Playground Inc.